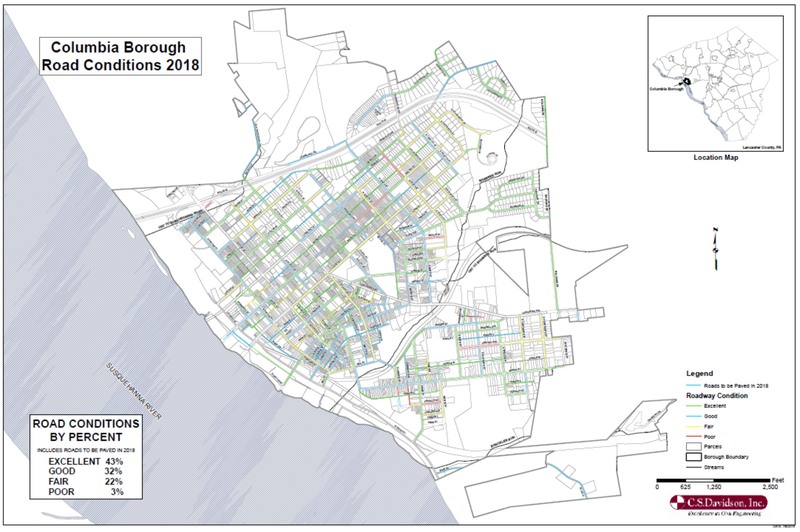 At the Borough Website | “The Borough is happy to report that 75% of Borough streets are currently rated in Excellent or Good categories. That is an increase of 12% since the initial assessment in 2014. Another impressive stat is the mileage of streets categorized as poor fell from 8% to 3%. Poor streets are the most expensive to repair considering they typically require extensive base work. Here’s the 2018 Columbia Borough pave map | Click to download as a .pdf for enlarging.